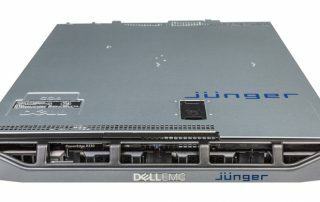 An audio processing system intended to form the core of a multichannel monitoring and authoring facility, Jünger’s MMA is fully compliant with the provisions of MPEG-H and ATSC 3.0. It comprises a powerful central processor, an I/O rack with a choice of interface options, plus application software and licenses. With 16 audio channels (15 audio + dedicated metadata), it can be used with surround formats ranging from mono to 7.1 + 4H; it is equally suitable for dealing with multiple language streams. Jünger’s unique Level Magic loudness management is included in a number of dedicated hardware processors: examples are the D*AP LM2, D*AP8 TAP EDITION and EASY LOUDNESS processors. The Jünger Multichannel Monitoring and Authoring System (MMA) is a hardware/software suite enabling all aspects of Immersive Sound design to be performed either in real time, or as part of a production workflow. It has applications in broadcast, live sound, virtual reality and gaming. The MMA has been developed to be the basis of MPEG-H Next Generation Audio, which has been incorporated into the ATSC 3.0 standard for future TV audio formats. The MMA’s core element is an industrial quality server providing simultaneous processing of up to 15 audio channels. The server communicates via Ethernet with a modular I/O rack, which can support a range of audio interface options. The system includes a full MPEG-H 3D Audio licence for monitoring, authoring and rendering. The user interface can be accessed through any networked web browser supporting HTML5. GUI design strictly adheres to HTML5, ensuring that the interface is independent of the operating system, and that any browser in use does not require specific or bespoke plug-ins. All supported surround formats may be auditioned in various monitoring configurations; downmixes may be created as required. Authoring and monitoring of the metadata channel is also catered for. Audio processing available on all channels includes Jünger’s Level Magic loudness management system, which ensures loudness consistently remains within predetermined tolerances with changing audio sources or panning operations. Level Magic is compliant with the provisions of ITU-R BS.1770-4, and also with most national standards derived from it. The system is entirely transparent in operation, and is devoid of colouration, breathing, pumping, phasing or modulation artefacts. Continuous measurement of instantaneous and integrated loudness is available via the user interface, and the Jünger J*AM loudness logging software is provided as an option if a permanent loudness record needs to be created for compliance with local regulations. Loudness data may be added to the metadata stream to control consumer decoders. As well as a page dedicated to Level Magic, the GUI includes pages permitting visualisation of the 3D sound space with accurate placement of audio objects; definition and control of channel groups; control of dynamic range, and system configuration. Metering of input and output levels of all channels is always available. 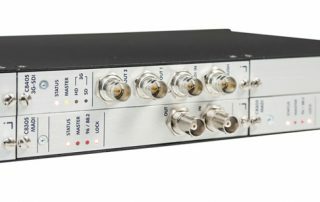 The modular I/O system is HD capable as standard, with a 3G SDI I/O card with full 16-channel de-embedding and embedding and video delay to compensate for the audio processing. A proprietary MADI interface is also included for communication with the core processor. For UHD 4K production, three further 3G SDI I/O cards may be added. 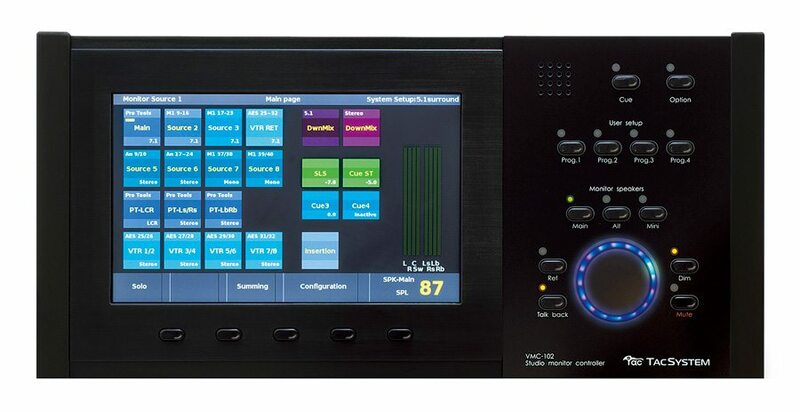 Other I/O options are available, enabling the MMA to integrate with existing digital audio infrastructures. These include modules for Dante/AES67 AoIP networking, AES3 I/O and MADI I/O. A 12-channel analogue output card is also available, should direct connection to a multi-speaker monitoring system be required. The I/O system is scalable, so any of the options may be added at any time. 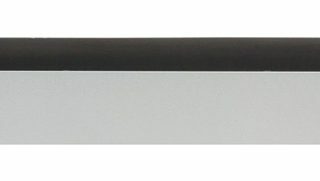 The I/O modules occupy a 19” rack mounting frame with integral dual redundant PSUs. Both the core processor and I/O frame are fitted with dual redundant power supplies. MMA is compatible with Ember+ protocol for integration with network-based broadcast automation systems.